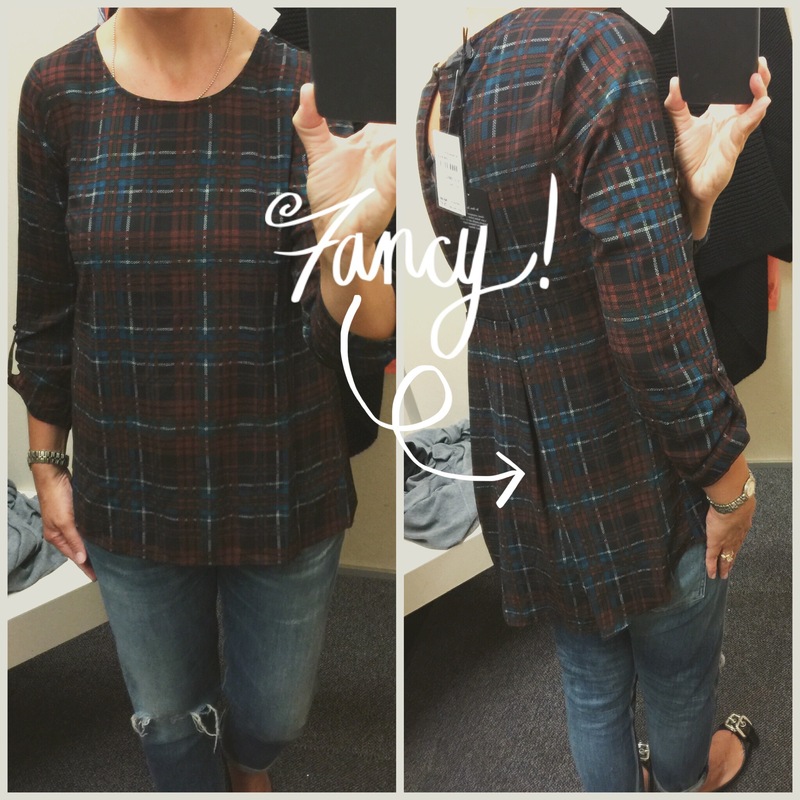 With so much fun fashion to choose from this season, where does one begin? 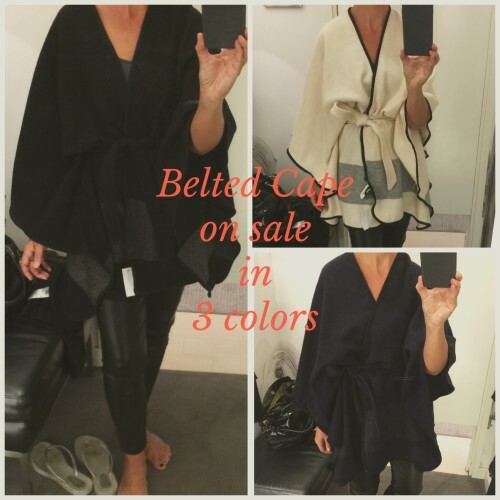 Today, I’ve got 4 bottom pieces – each unique and updated in it’s own way, to recharge your wardrobe this season. There are a ton of skinny jeans to choose from – take the time, to find a fit that is for your unique body type, in a wash you love, that is also comfortable. 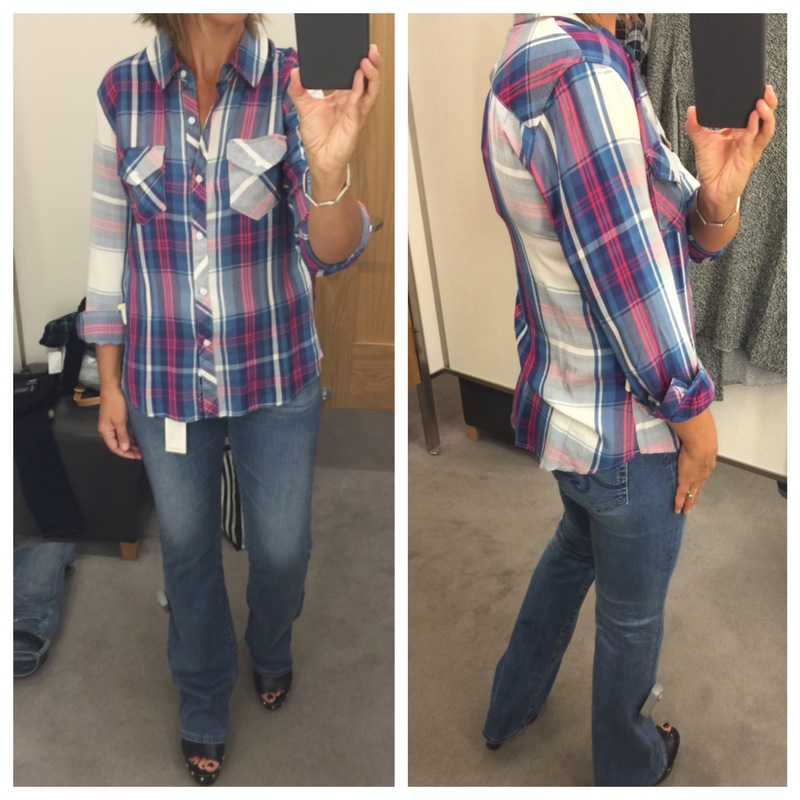 My fave is the Paige ‘skyline’ fit, in any of the TRANSCEND washes. 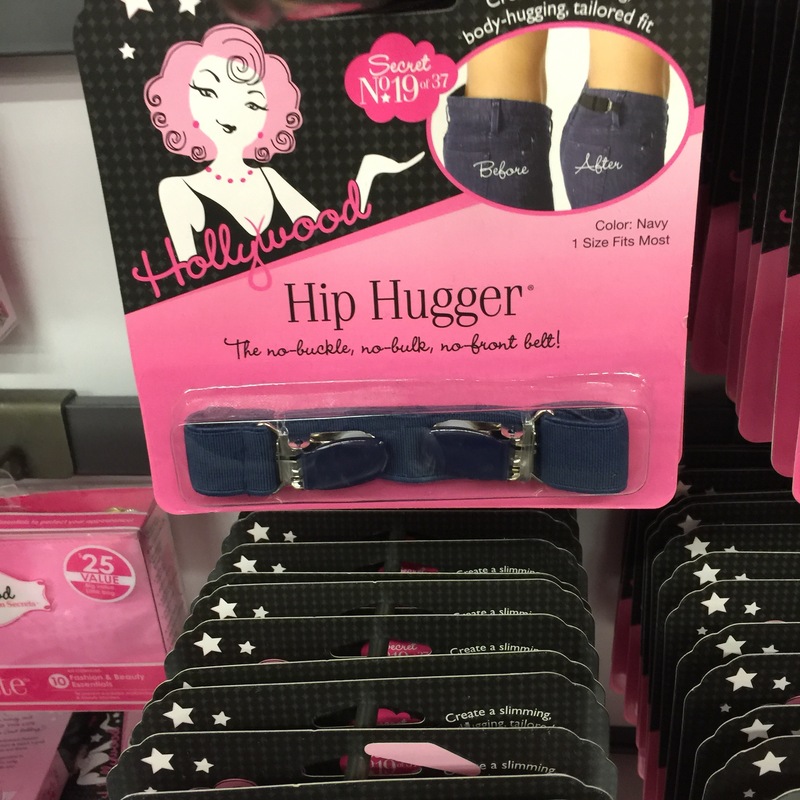 Super soft and stretchy, nice on the bootie, with a mid-rise. it’s a few more bucks for the TRANSCEND version – but I prefer it. The ‘Mona’ wash is now being price matched at Nordstrom. 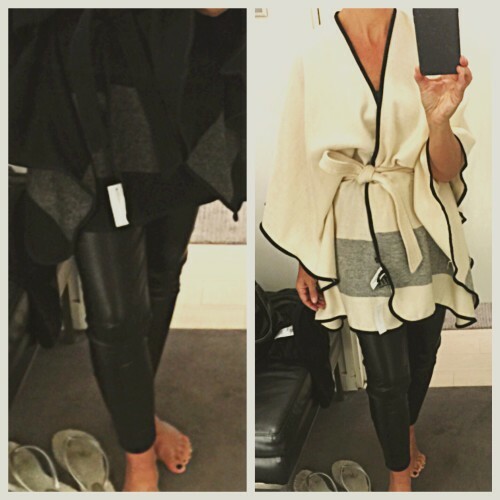 A fab update to your regular legging. I personally am fine with faux leather, being this is not an item I will be wearing everyday, but more for evening and for fun. 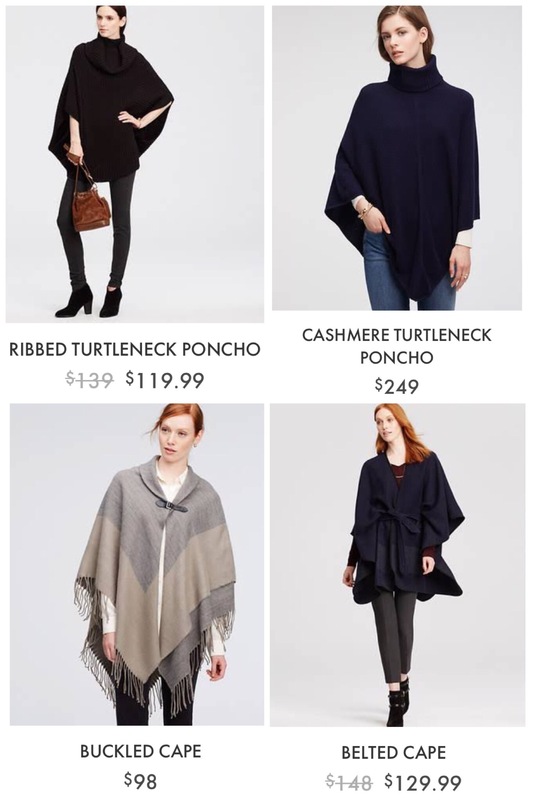 Since I don’t see this as a big investment piece, I like the cheap and cheerful version over at Ann Taylor which is currently on promo at 50% off regular price. Regularly $98, now under $50. In wine and black, HERE. If you prefer more stretch and mobility, try a pair with a ponte backside. 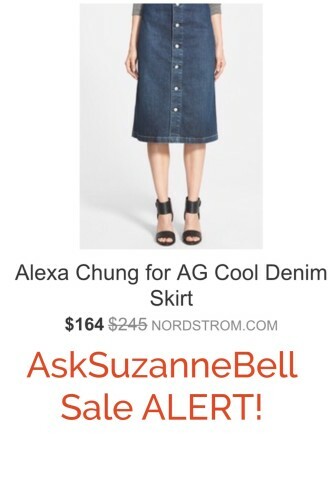 I personally love this long denim skirt from Free People, now on sale at Nordstrom, for $89.00. Runs true to size, but it IS long – petites, I don’t think this will work for you. 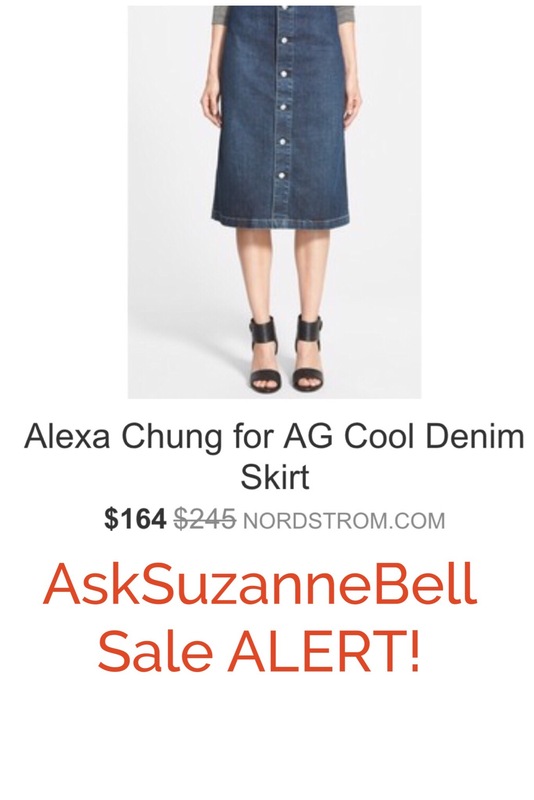 Good news is, there are darling denim skirts at Anthropologie, Boden, Banana Republic – you get the idea. 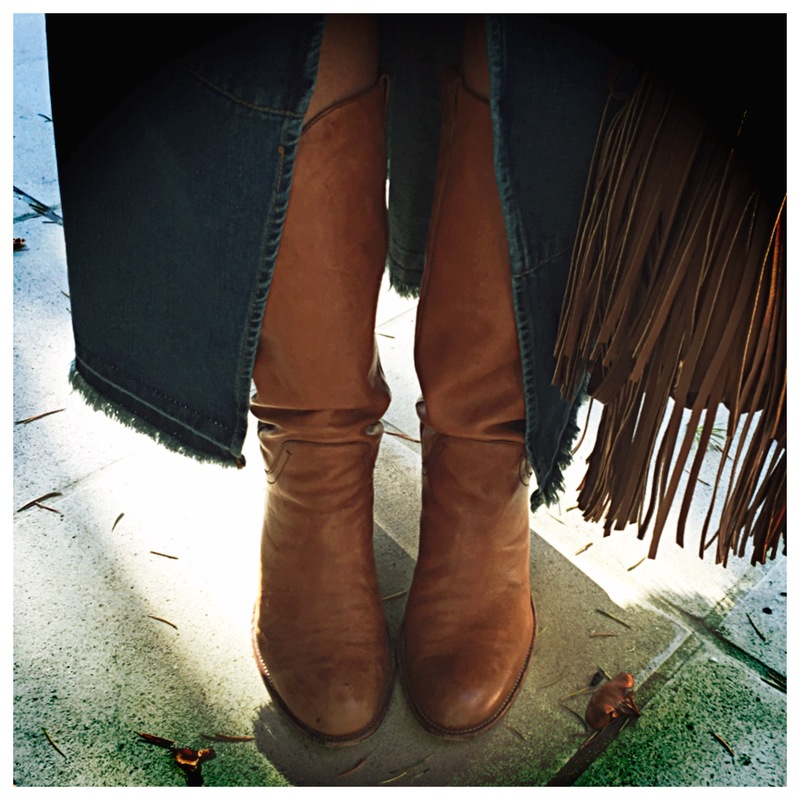 I also love the midi lengths out there right now – paired up with boots! 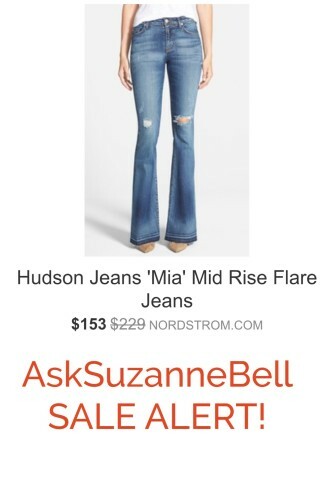 I have a pair of flare jeans from a few seasons back. What is different? 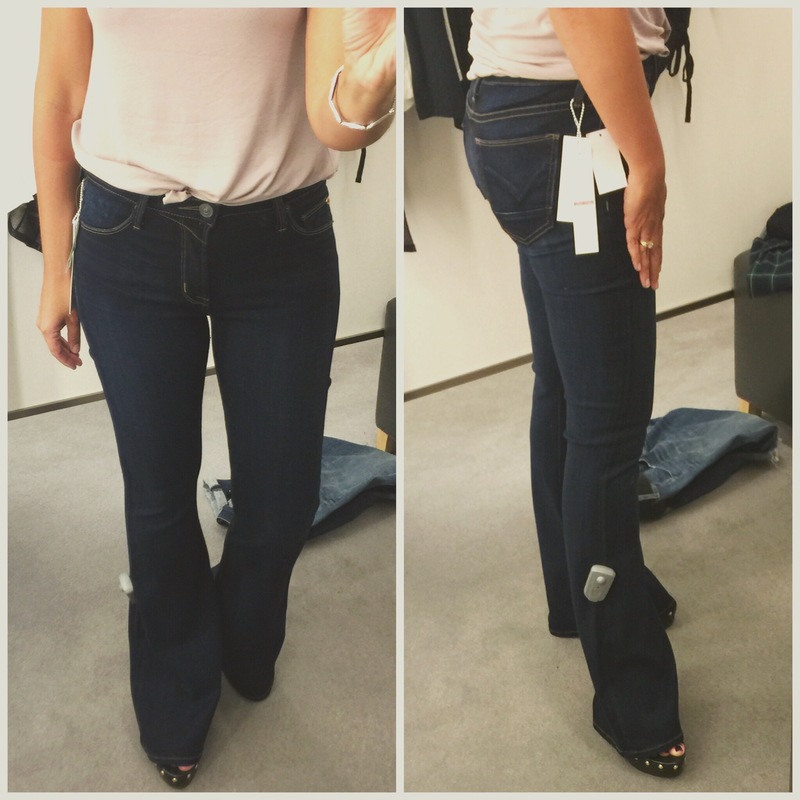 The flares and bootcut jeans available right have a higher rise – which I love! 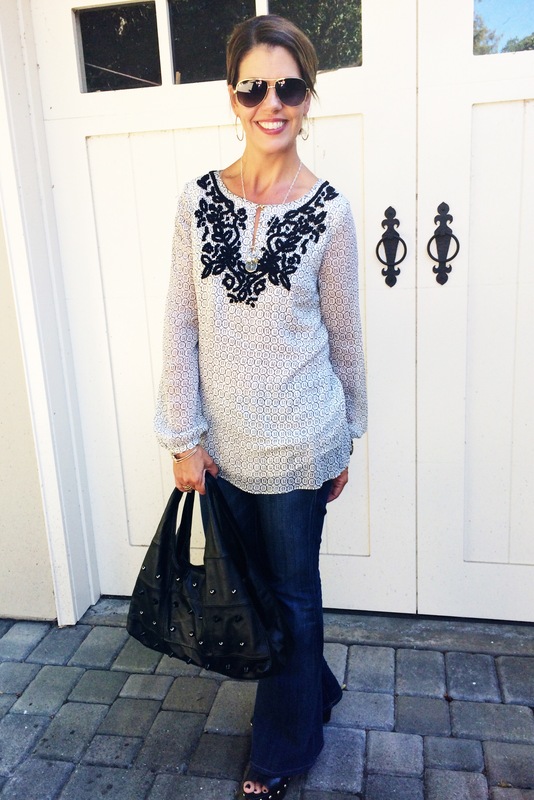 Current styling comes up a bit onto or over the tummy – holding it all in! Contrasted to the pairs currently hanging in my closet, which I struggle to keep ’em up! I love Hudson and AG for flare and bootcut styles. Paige makes wonderful pairs, as well as KUT from the Kloth if you are looking for a lower price point. If you just can’t get into flare jeans, try a updated bootcut. The shirt? My new fave brand, Rails! 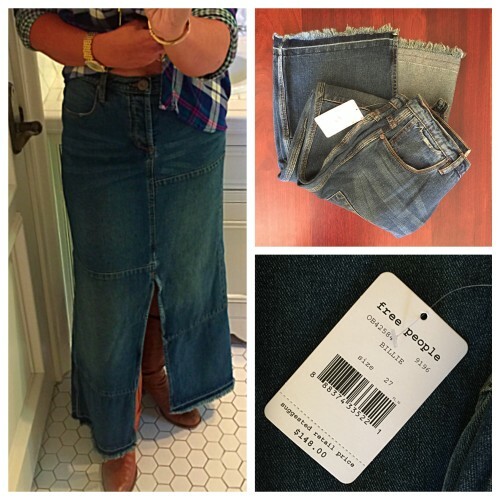 Need some help holding those jeans up? Available now at Old Navy and Amazon. No buckle or belt bulk -genius! Ann Taylor just launched a big sale! Here’s a look at a my picks – found when picking up my leather leggings, this week! Bottom right cardigan has a “Vince” feel and styling to it. 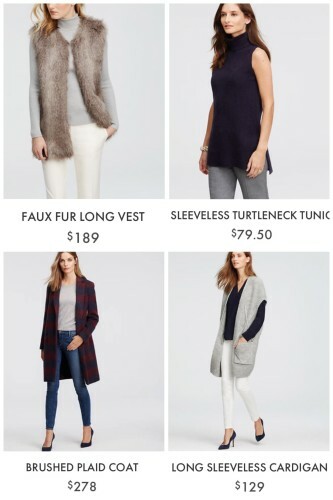 The sleeveless turtleneck is a Fall Must-Have! More colors available. 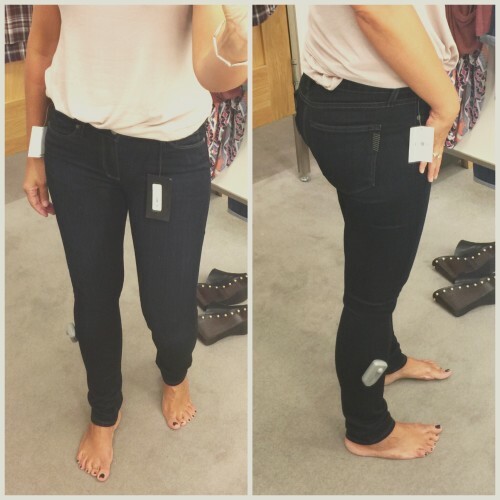 Looking to try coated skinnies for under $50.00? The super skinny runs true to size or even a bit big – in straight and curvy styling. Personally, I like the black and grey combo (left), best – though the navy is pretty as well. The winter white combo is pretty, and I like the contrast, I just thought the fabric felt a little thinner – the black looks the most expensive. The black reminded me more of something you would find from Vince or DVF, for way more $$. 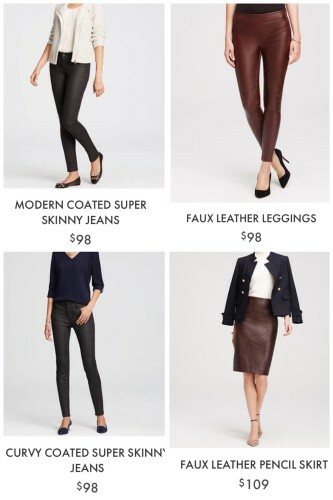 I’m wearing it here, with the Ann Taylor faux leather legging, now under $50.00! CAPE, NOW 50% off at $65.00 – a great deal! I like it styled open, as a wrap with NO belt, as well. Looking for a fun, easy sheath -with an update? 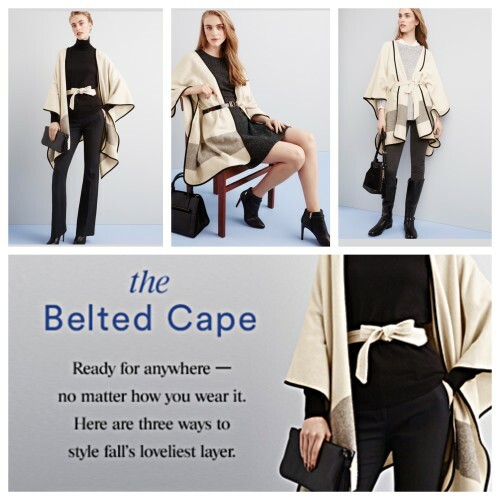 Anyone checking out Ann Taylor this weekend? 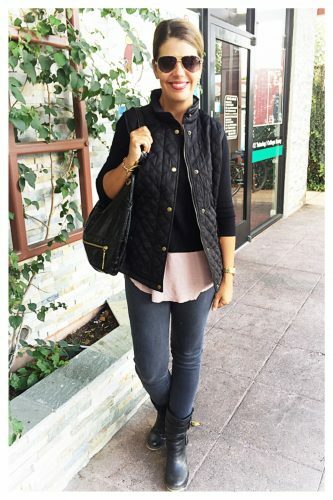 Currently, Nordstrom Rack and 6pm have a great selection, of fall boots and booties! 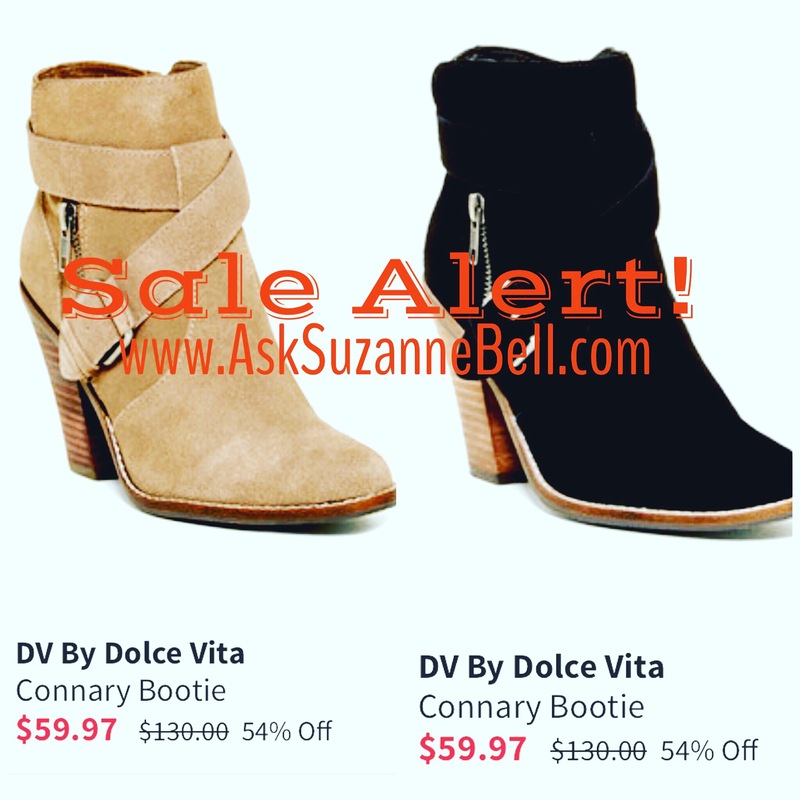 If you love Donald Pliner, there is a big selection available, on both sites. 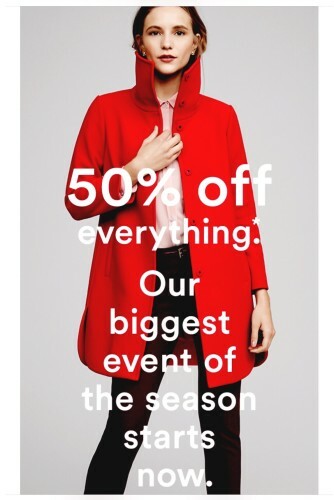 Check out Banana Republic for sale on sale, promos on at Old Navy (my picks HERE) and GAP. In need of some Inso, for a casual weekend outfit? How about a pair of skinnies – paired up with boots and a vest? See you back on Wednesday, when we’ll take a look at styling up this season’s best bottoms!